'Gifted' is a guidebook for gifted students. If you're looking for a few tips on how to develop the sort of exceptional super-intelligence that only a few people even know exists, then this may be the book for you. Warning/Disclaimer: This book of ideas and opinions shouldn't offend anyone - but, with so many ridiculously over-sensitive people around these days, there's always a danger that it will. One of the reasons for many people's anti-intellectual prejudices is that we live with a great deal of obsessive political-correctness that firmly expects us all to be constantly hyper-sensitive to other people's feelings. We are expected to shy away from the expression of any ideas or opinions that might upset or offend anyone at all. The political-correctness of our time is particularly keen to frown upon any suggestion that some people might be more intelligent than others. We mustn't celebrate intelligent people, apparently, because doing so might hurt the feelings of people who are not so intelligent. None of this absurd political-correctness, however, changes the fact that some people are exceptionally intelligent and that these people are incredibly important to the health and future success of the society we live in. What makes a person clever? Partly, as is generally accepted, it is a question of talent. Some people do appear to have a greater natural aptitude for intellectual and intelligent thinking than others. More importantly, however, some people have, or manage to develop, higher-than-usual levels of inquisitiveness. They're interested, not just in the world around them, but in the world of ideas. They have a strong instinct to explore and an openness and willingness to learn. Perhaps the most important factor of all, however, is determination - the willpower to work hard and push yourself forward regardless of obstacles. Inquisitiveness and determination are usually far more important than natural talent. Few, if any people, are so 'gifted' that they can be miraculously intelligent without having to work at it - and work hard. On the other hand, most people, even those with no apparent 'special gift,' can become intelligent if they are simply prepared to work at it and have the right attitude towards learning and a genuine determination not to give up when things become difficult. It is the same as if you wanted to play tennis well. No-one, in the history of mankind, as far as we know, no matter how naturally talented they may have been, has ever been able to become a brilliant tennis player without having to put in many hundreds of hours of practice. You can take a normally talented person and, given enough practice and determination, turn them into a professional-standard player, but no player, no matter how talented, can be a top tennis player without having to put in a great deal of practice. As another example, Ayrton Senna was very possibly the greatest racing driver who has ever lived. In dry conditions, he was the best by a huge margin, but this was as nothing compared to his ability on a wet track. On a wet track, he was phenomenal. Who would believe that, early in his career, it was his performances in the wet that most brought his talents into question? He recognised that he was failing to perform to his potential in wet conditions and set his mind to mastering wet-weather driving. Later on in his career, it was his wet-weather performances that convinced people that it wasn't a human in that cockpit at all, but the thunder god himself. These performances however, were down, not just to his natural abilities, but to his hard work, dedication and utter determination. Similarly, being 'gifted' in itself does not make you intelligent. Being 'gifted' is just the start of the story. The most important ways in which you can be gifted are by having natural inquisitiveness and natural determination - by having, in the traditional sense of the term, character. More than anything else, the capacity for becoming intelligent is a question of character. Innate intellectual talent is of next to no importance whatsoever compared to character. A person with character can overcome a lack of talent. Without character, however, talent may mean little, perhaps nothing at all! The Kindle version of this book is available from Amazon.co.uk, Amazon.com and Amazon sites around the world. The paperback version of this book is available from Amazon.co.uk, Amazon.com and other Amazon sites. 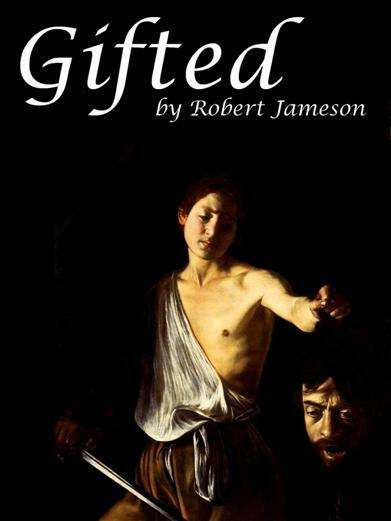 'Gifted' is also available in Apple's iBookstore, in the Kobo and Nook stores, from Google Play Books and at Scribd.